Been a while since I saw a new brand talked up, so I thought I'd start a new thread and see what info / opinions people have on these guys. Curious to see if anyone has tried them on or seen them in person. theyve been around. i thought they stopped producition on those. They're named Toy's McCoy now, I think they brought all different McCoy brands together to one brand. Real McCoy's. they have a Lightning style guide issue on their stuff incidentally. yeah zk and ryu are the only set of McCoy's i've seen around here. I just went to the store in Osaka...amazing repro stuff. Pricey, though. Comparable to Canes, Full Count, Denime, and all these brands have stores within blocks of each other in Shinsaibashi, Osaka. Osaka blows Tokyo away for this stuff. yeah the Real line is definitely alive, but Joe is dead if i'm not wrong. tags all read Real McCoy now. it seems to me that most of their models are more based on the lee fit, rather than levi's... what are the s613's cut like? The fit is the basic 1947 fit and unsanforized, but with lots of the lee details. So they have the embroidered waistband tag, sailcloth lined back pockets and black oxide buttons. 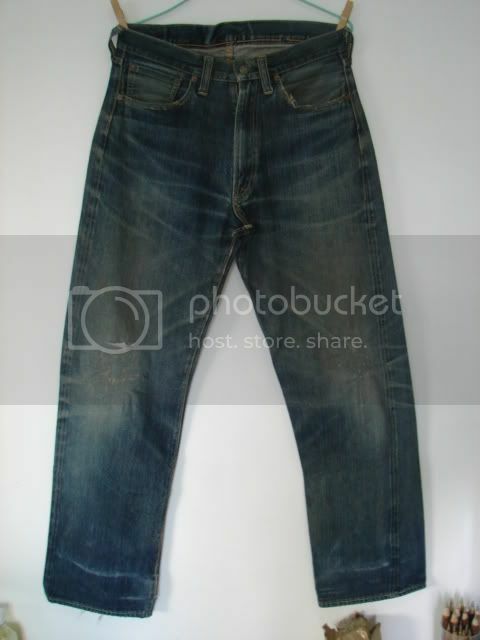 they are repros of a jean that never actually existed. haha yeah. i tell everyone that but they just go to tokyo anyway. ah well. 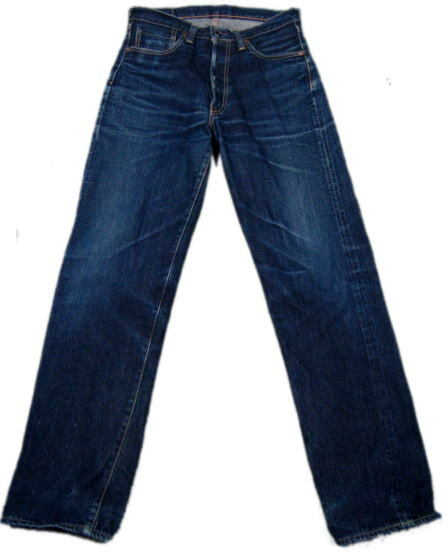 don't forget warehouse, 45rpm, and skull jeans. looks a bit like the Lee '42 cowboy 101 though...or is that just me? 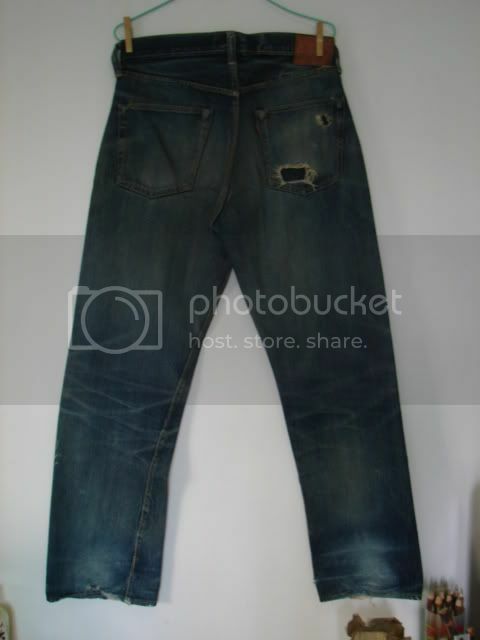 the S613A looks interesting, in fact, the "WWII" jeans. 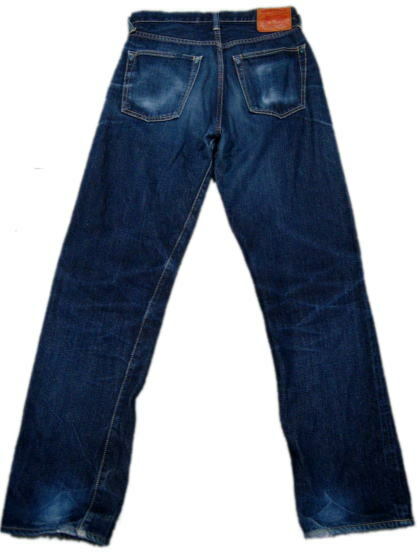 It might be the Lee 42, it certainly has a lower rise than the 47, but it has the levi pockets and the v stitch at the top button, plus shrink to fit and left hand twill. a variety of weights. the S613 comes in 13.75oz, but the S613A is 14oz. thanks tweedlesinpink. i have the one. and long time no see SF friends! so ryu, what do you like about the mccoy's? they look great, as expected. do you put oil on the patch? hey guys good to see you . this is the point i love is it no longer exist ! 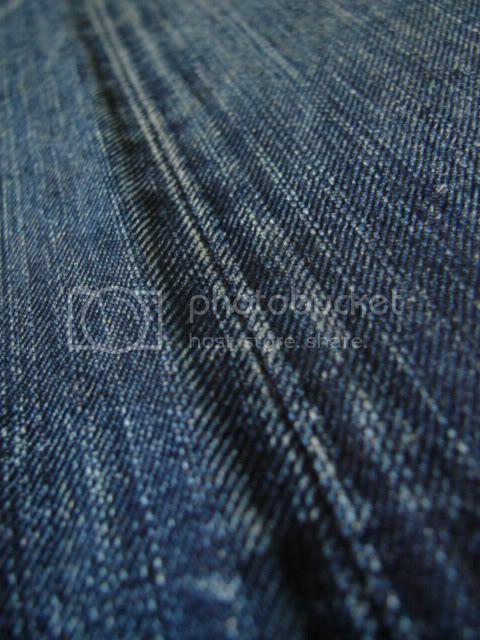 and this jeans is famous about very long vertical fading. i like it. you know structural denim we say. i touch the patch many many times! http://www.c-king.jp/2007few.html i think real mccoy makes the few jackets too.. the jacket art page is amazing!! 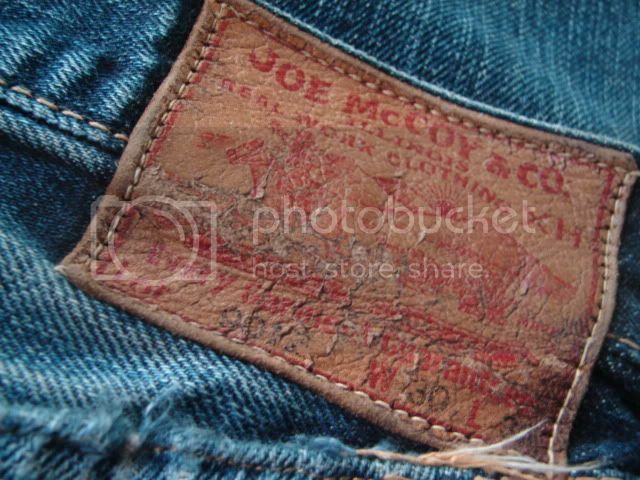 I do have a pair of vintage joe mac coy 901Z. amazing! how old are your 901zs kikidark? I believe those to be like 8 or 9 years old or even more. And about the 615z I never liked to wear bootcut, but don't let people tell you what you need, straight cut-slim fit is no the ultimat cut anyway, and the price is low! 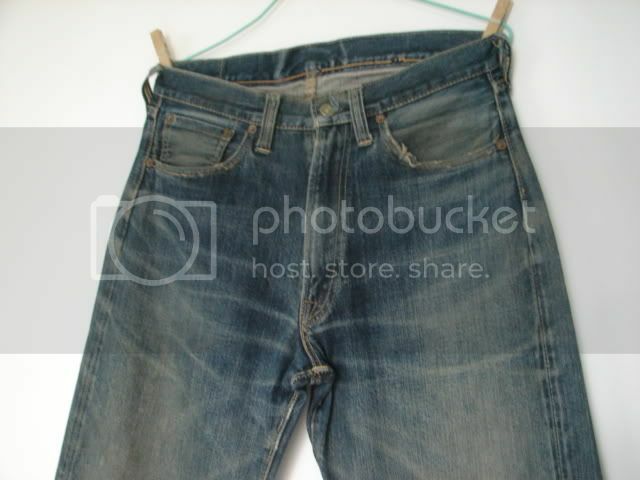 Moreover you will probably get really nice wear on those cause the cut is very tigh. So I say why not after all. most of mccoy'll become that kind of fading like you. amazing! Where can someone in the States buy some McCoy's? I have been looking and I cant seem to find anywhere online. I live in Texas - so the market for Jap-Repos is slim to none. Any help? What is 2000db (sorry if that is a stupid question). What bidding service is avaliable?